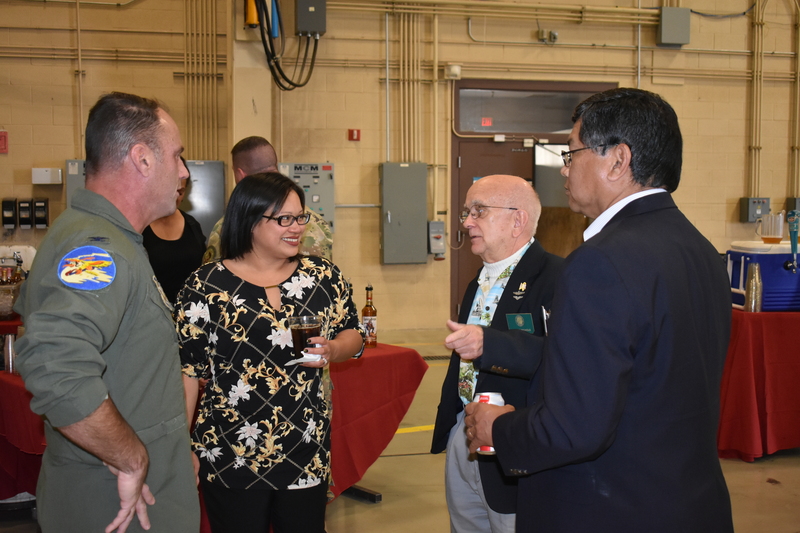 L to R: Colonel “Spud” Caldwell, Graduation Speaker, MJ Tucker (who managed the Graduation Arrangements), FASF-Daedalian members, Roger Nichols and Col. Mario Campos. 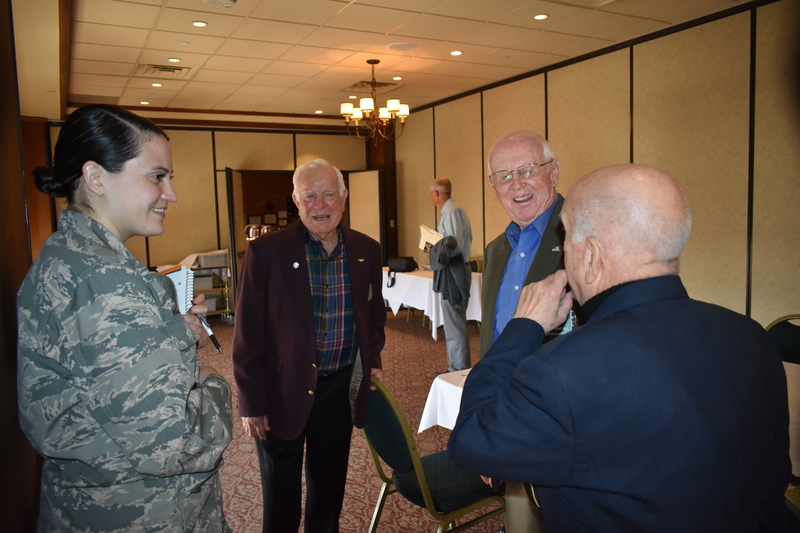 Lt. Col. “Burn” Clapper, Commander of 314th Fighter Squadron, Captain “Titto” Hannah, who shepherded the Daedalians, and Col. “Spud” Caldwell. 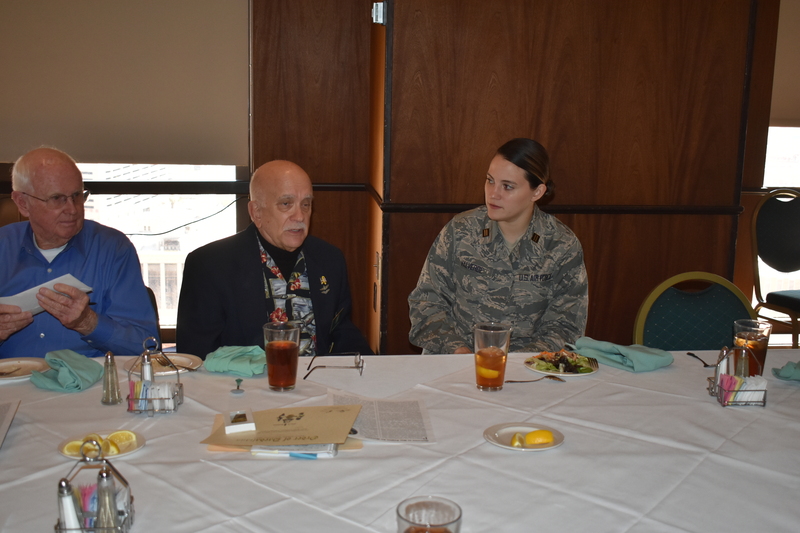 L to R: FASF-Daedalians, Colonel Mario Campos and Col. 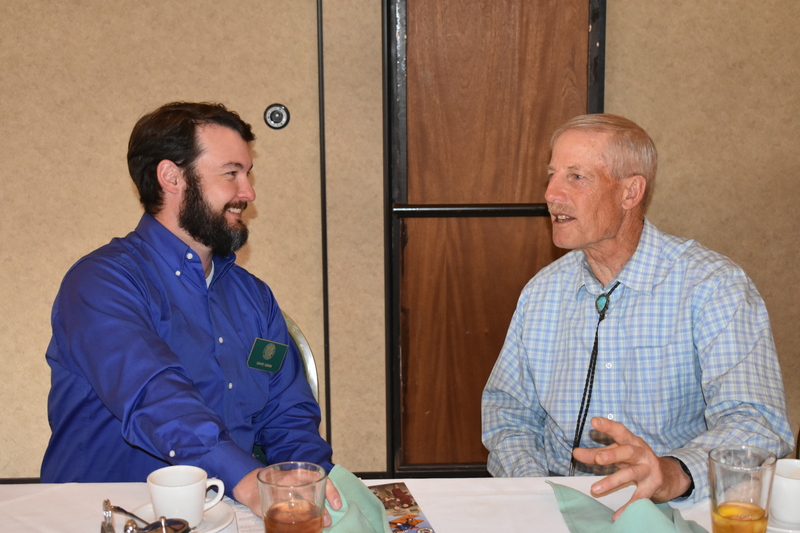 Miles “Cowboy” Crowell, currently a civilan contractor at Holloman, discussing their combat experiences. 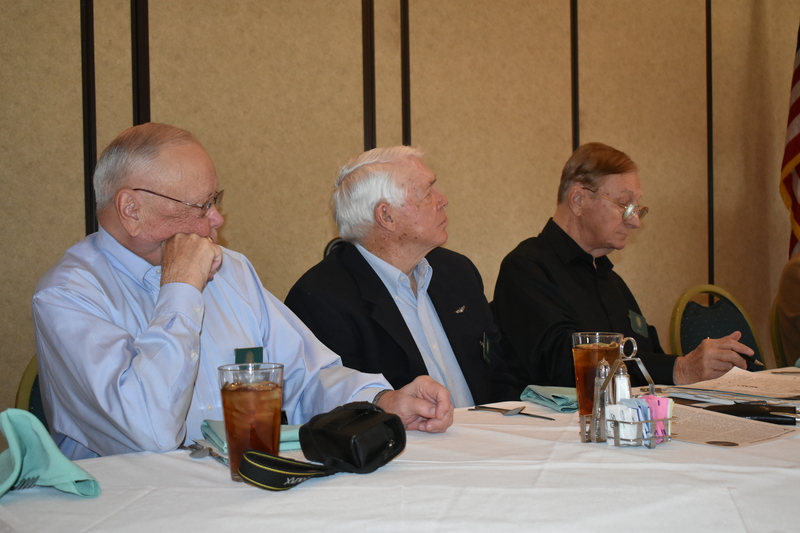 L to R: Colonel Jeff “Tank” Patton, Lt. Col. “Burn” Clapper, and Roger Nichols . 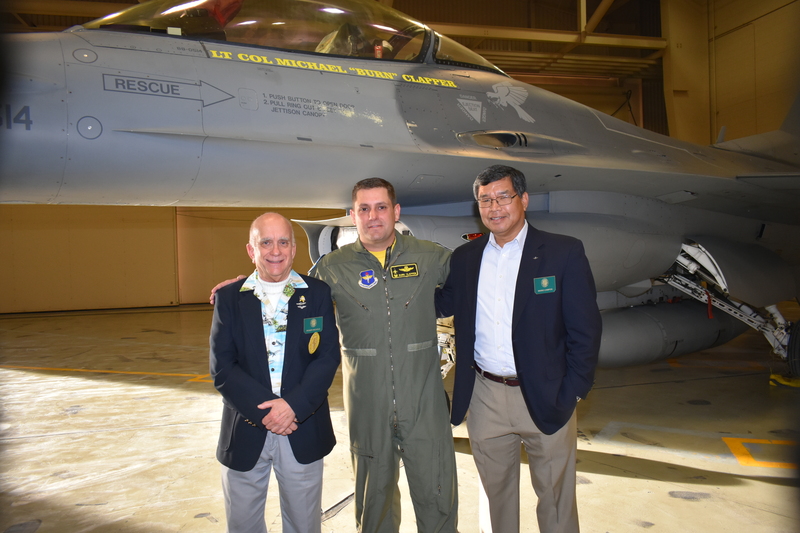 . .
L to R: “Roger That” Nichols, LC Michael D. “Burn” Clapper (CO of the 314th Fighter Squadron), and Col. Mario Campos, Daedalian Flight 24 Captain, pose before “Burn’s” F-16 Fighting Falcon Jet. 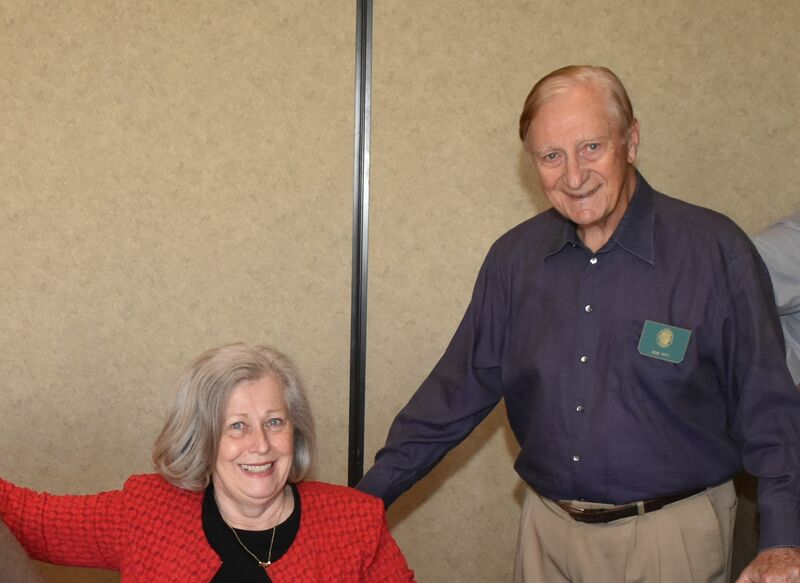 L to R: Col. 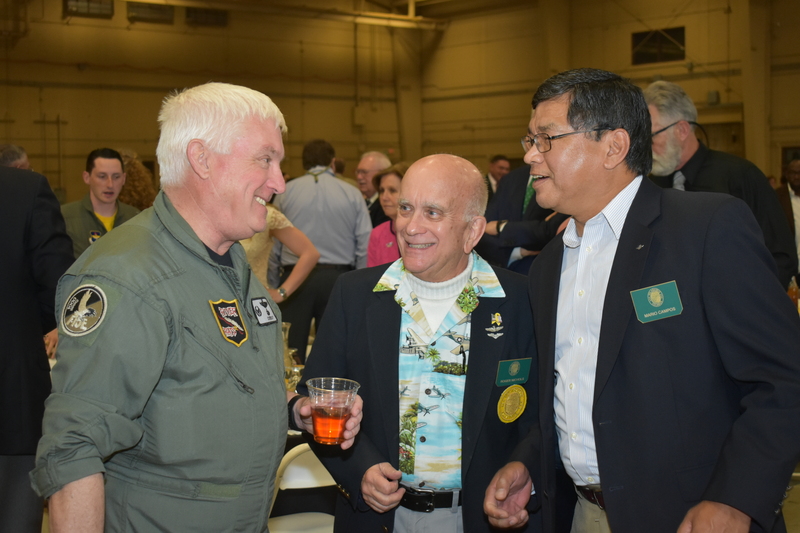 Miles “Cowboy” Crowell, USAF Ret., Roger Nichols and Col. Mario Campos, share a laugh. 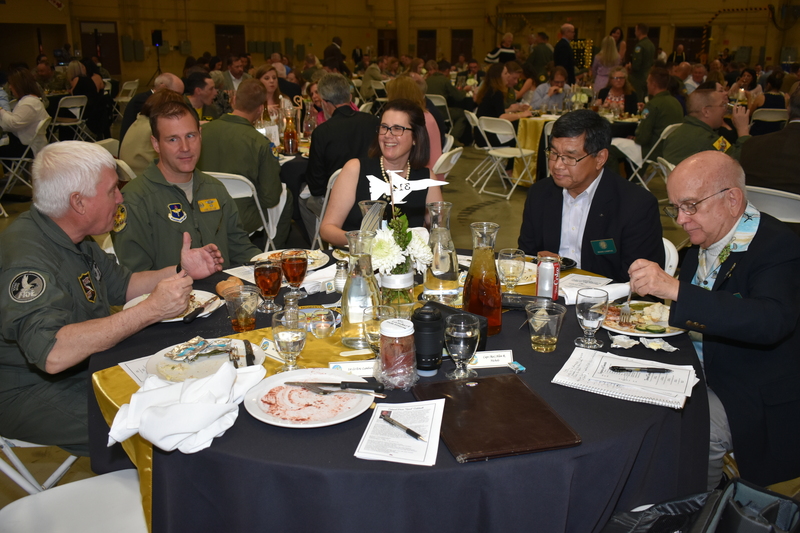 L – R: Colonels “Cowboy” Crowell, Col. Jeff Patton, his wife, Tracy, Mario Campos and Roger Nichols enjoy Dinner. 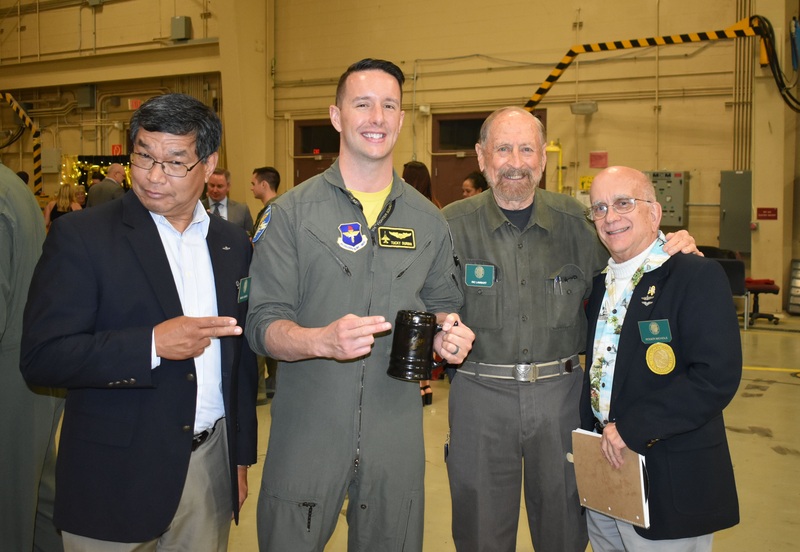 Colonel Mario Campos (R), Daedalian Flight 24 Captain, congratulates Lt. “Pickles” Mossing on his achievement in winning the coveted Daedalian Class Leadership Award. 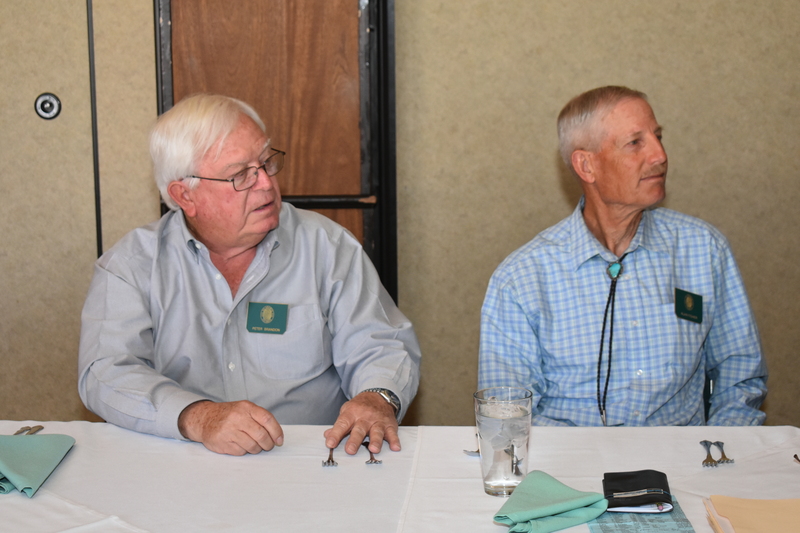 L to R: Colonel “Cowboy” Crowell, and the “River Rat” awardee, Lt. Doug “Magnus” Clark, and Colonel Jeff “Tank” Patton are all smiles. 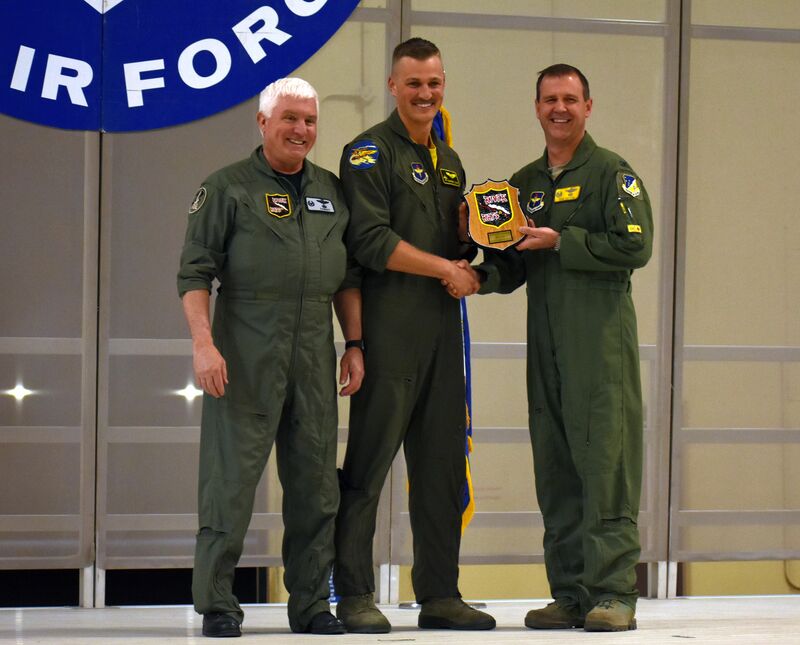 Lt. Clark also won the Distinguished Student Award in his class, which was the 314th Fighter Squadron’s Class 18-BBH. 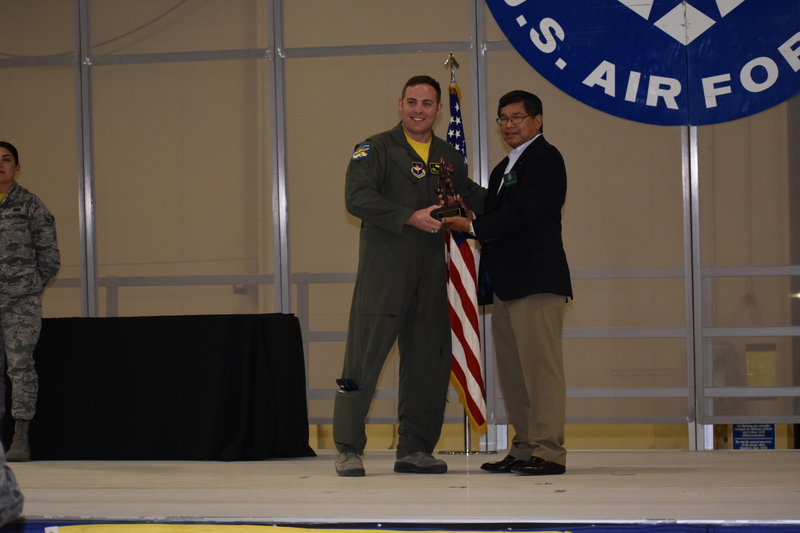 The River Rat award is given to the student that the other pilots would most want on flying on their wing in combat. 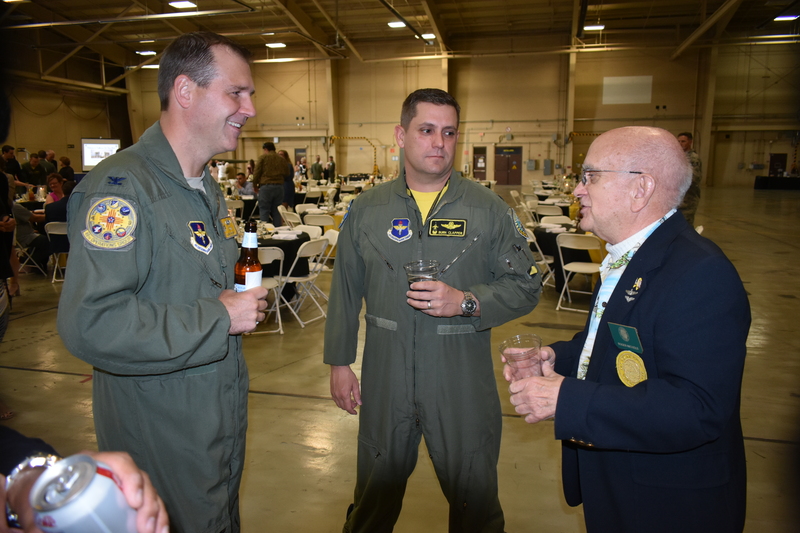 The River Rat designation came from the Vietnam conflict and is named after the Red River Valley (Association) of the Vietnam war, an organization to which many pilots who flew in combat over North Vietnam belong. 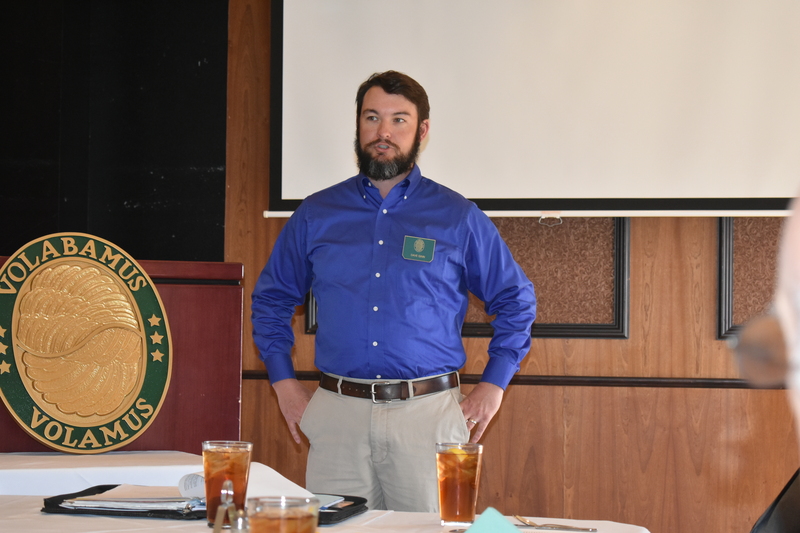 Both of the above Colonels are active members in the FASF. 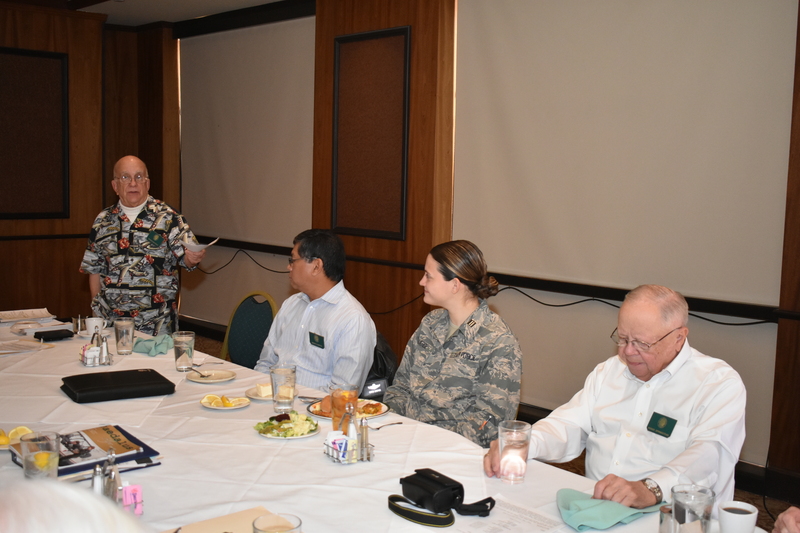 L to R: Col. Mario Campos, Captain “Tucky” Durbin, event Master of Ceremonies, his wife, Stephanie, and Roger Nichols. 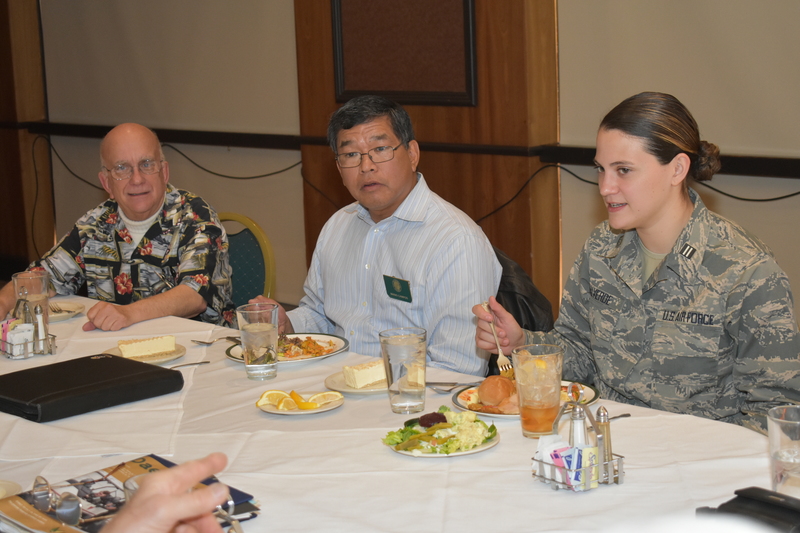 L to R: (Taken by Stephanie Durbin) – Col. Mario Campos, Capt. 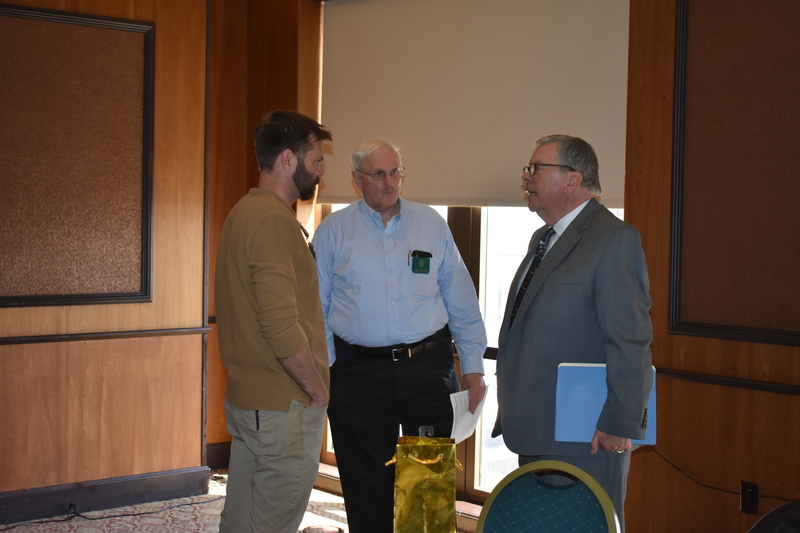 “Tucky” Durbin, Ric Lambart, and Roger Nichols. 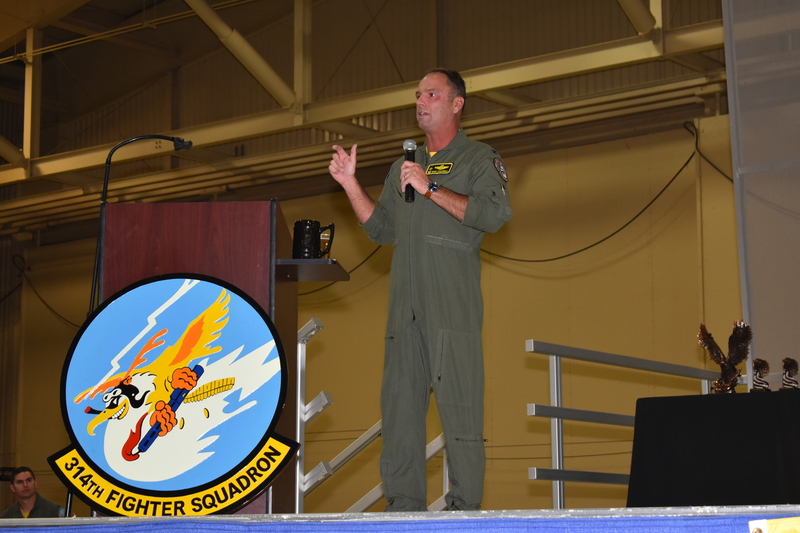 The two-finger salute being given by Mario and Tucky is that of the 314th Fighter Squadron. 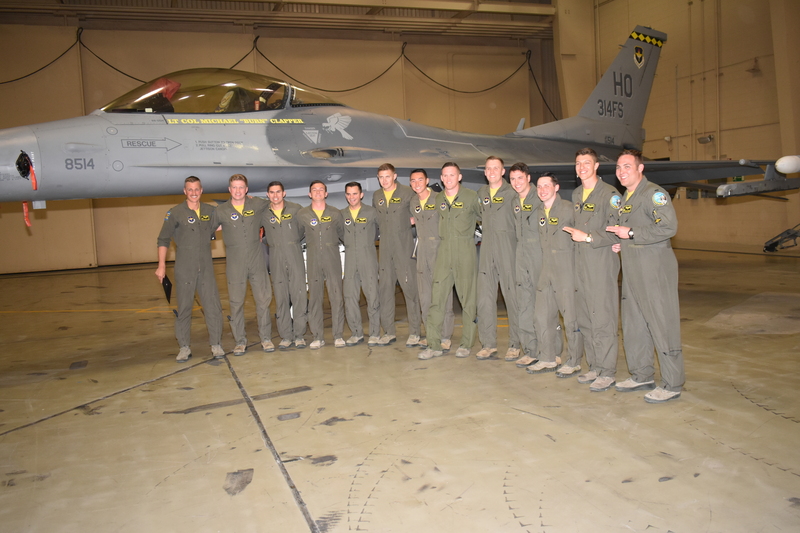 All thirteen (13) new F-16 Viper Fighter Pilot Graduates pose before their Commander’s Fighter. This entry was posted in AVIATION NEWS, HOT NEWS! 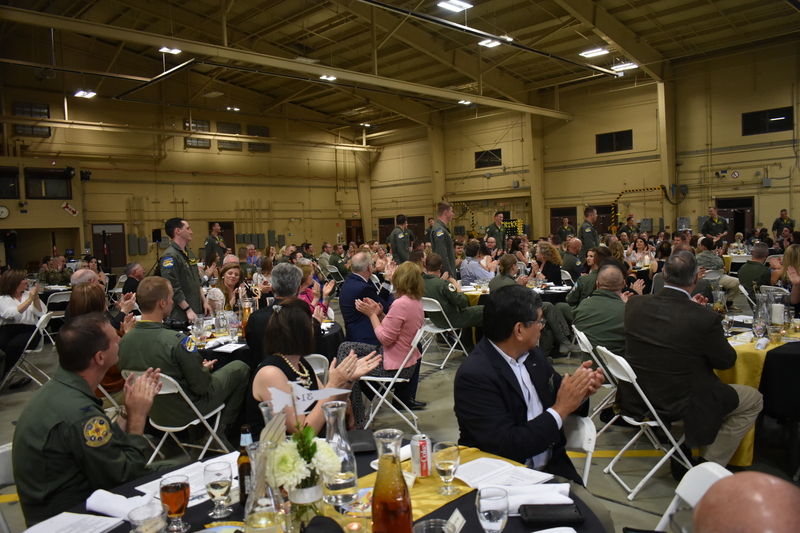 and tagged 13 new fighter pilot graduates, 314th Fighter Squadron Class 18-BBH, Capt. "Titto" Hannah, Colonel "Cowboy" Crowell Ret. 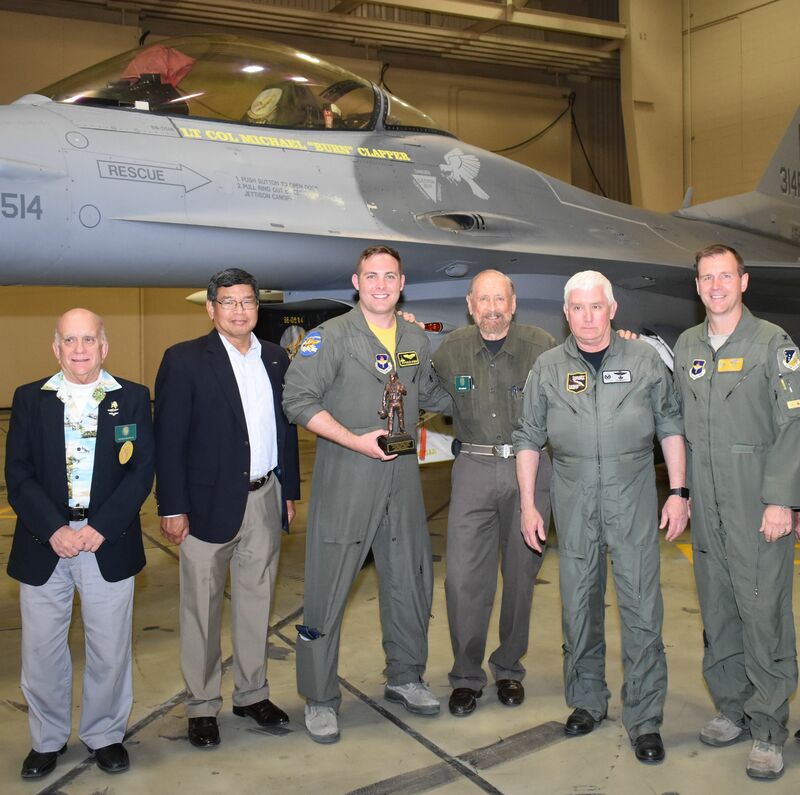 USAF, Colonel "Spud" Caldwell, Colonel Jeff "Tank" Patton, Colonel Mario Campos, Daedalian Leadership Award, F-15 Fighting Falcon, F-16 Viper, FASF Members, Lt. Col. "Burn" Clapper - 314th Squadron Commander, Lt. Doug "Magnus" Clark, Lt. Jason "Pickles" Mossing, MJ Tucker, Ric Lambart, River Rat Award by fellow students, Roger Nichols, Stephanie Durbin, the Red River (Rat) Valley Association, Two-Fingered 314th Fighter Sqiuadron Salute, Vietnam Conflict on April 9, 2019 by FASFRIC. 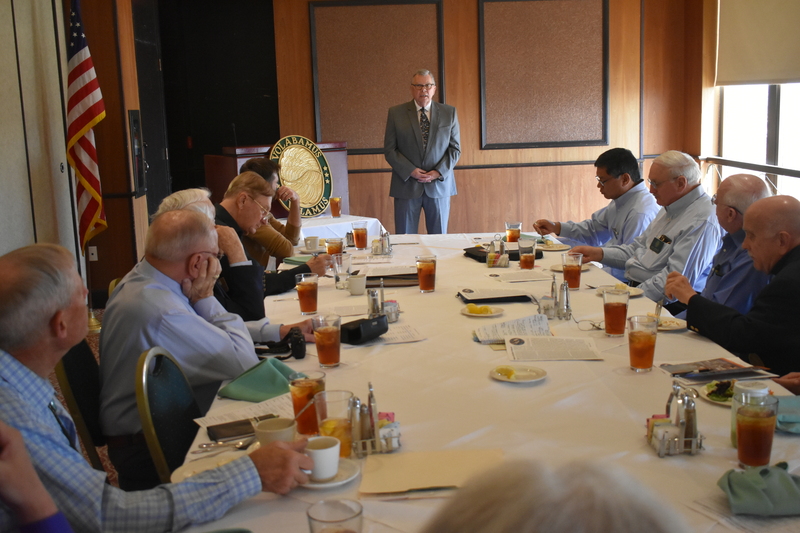 At yesterday’s regular monthly meeting at the El Paso Club in downtown El Paso, Texas, Daedalian Flight 24 (more affectionately known as the General “Nick” Nichol’s Flight – named after Roger’s WWII Ace Dad), listened intently as their immediate past Flight Captain, Roger Nichols, shared a power point – video briefing about the historic American Linebacker II heavy-bombing campaign against the North Vietnamese. With the Accords in shambles, the U.S. mounted a massive bombing campaign over the North Vietamese capital of Hanoi. 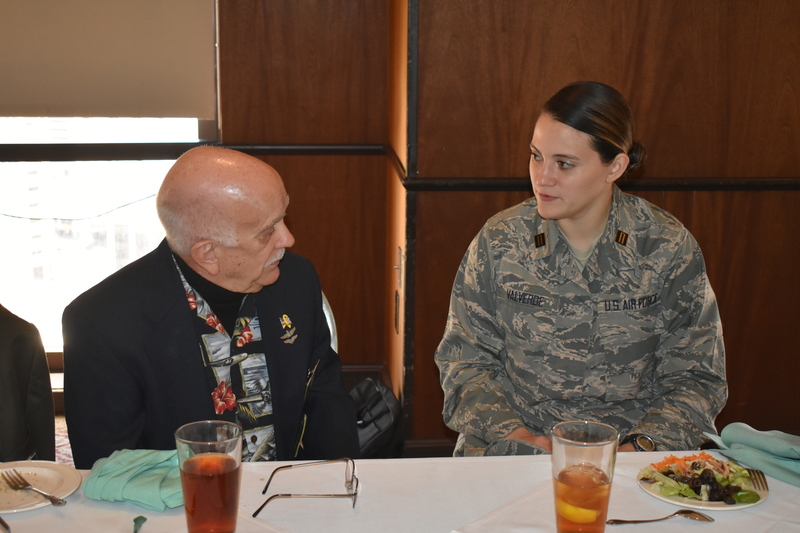 It was code-named “Linebacker II.” Fellow Daedalian Fllight and long-standing FASF member, Charlie Overstreet, had been one of the pilots who took part in that huge aerial assault on North Vietnam, The majority of Flight 24’s aviators flew during that distant Southeast Asian war. 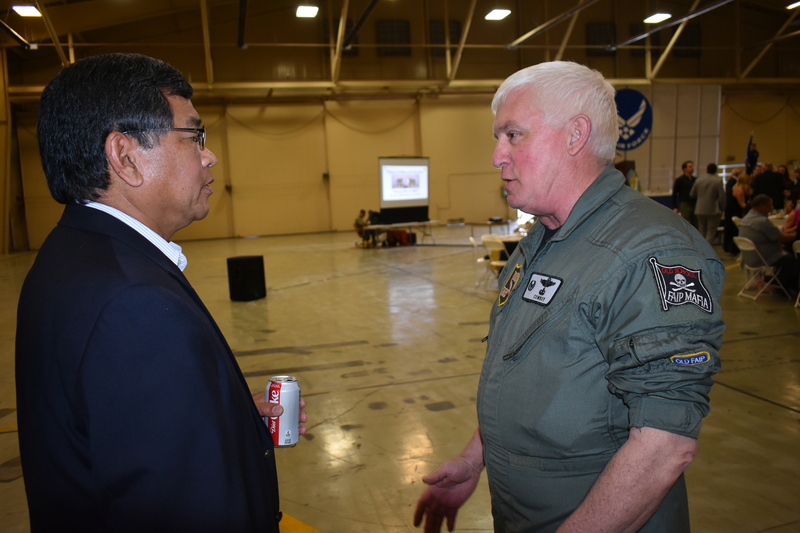 For those of you who might be interested, here is the short (12:13) segment I of the longer documentary of that “Linebacker II” campaign, which was produced by the son of General Glenn R. Sullivan, who commanded the 17th Air Division out of U-Tapao Air Base in Thailand at the time. Here is a link to a number of other films made of that same campaign. 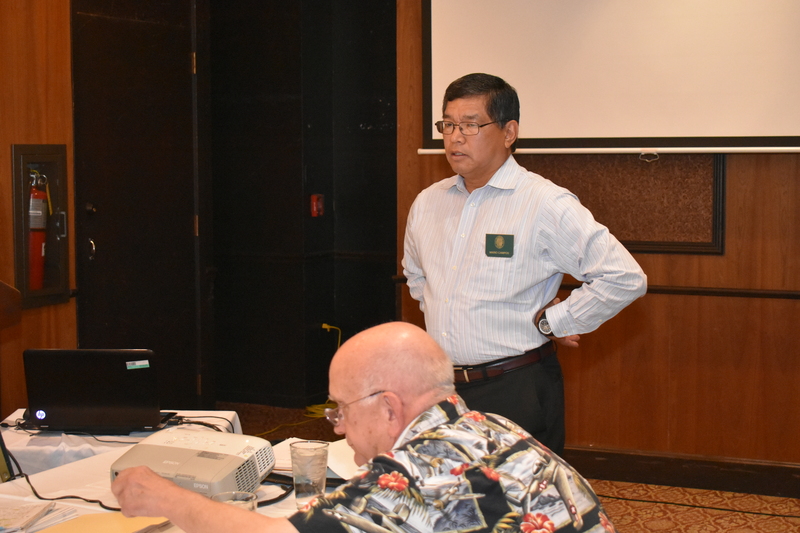 The presentation by Roger was both educational, and also nostalgic for those in the Flight who had fought in the skies above Southeast Asia, and who had lost some of their closest friends and fellow aviators in that now historic conflict. 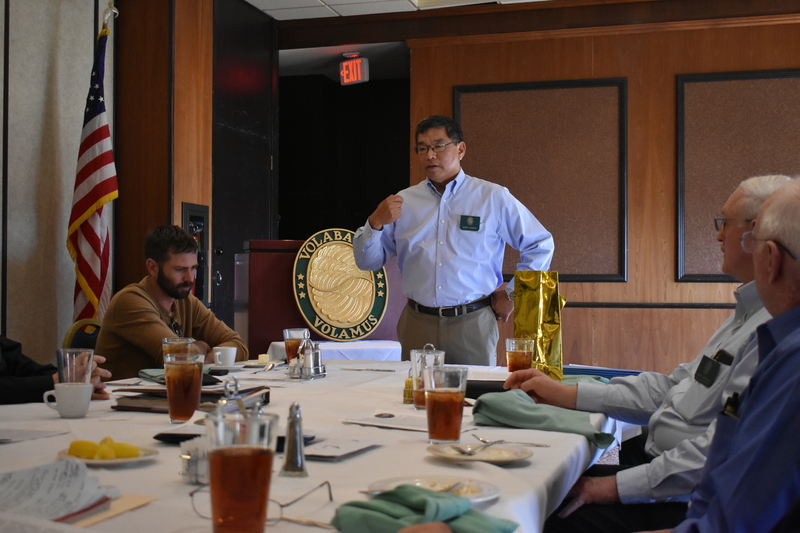 The meeting had an element of sadness, also, because Roger will soon be moving to Oklahoma to be closer to his children and grand-children. 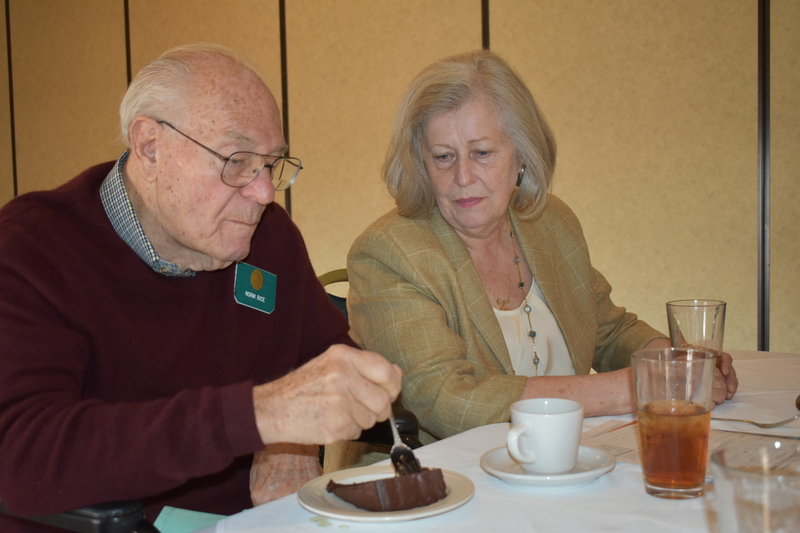 Fortunately, Roger’s many interests in El Paso (where he was born), including the Daedalians, will bring him back on regular visits. 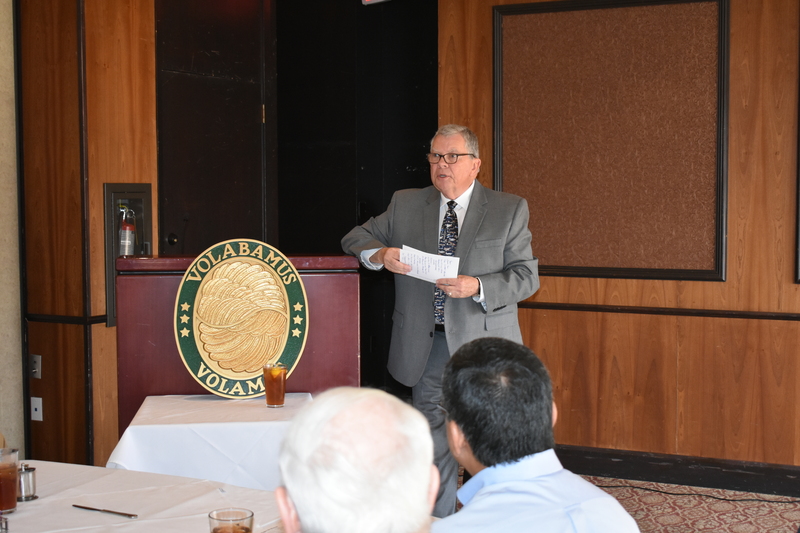 Colonel Bob Pitt, Vietnam fighter Pilot, who was wounded over ‘Nam, briefs Daedalians on upcoming events. 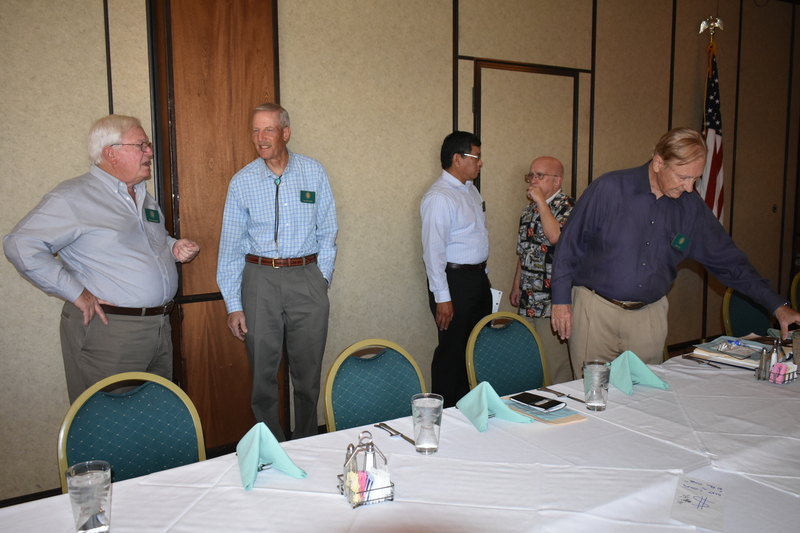 Flight Captain Mario Campos presides over business part of meeting as Roger Nichols looks on. 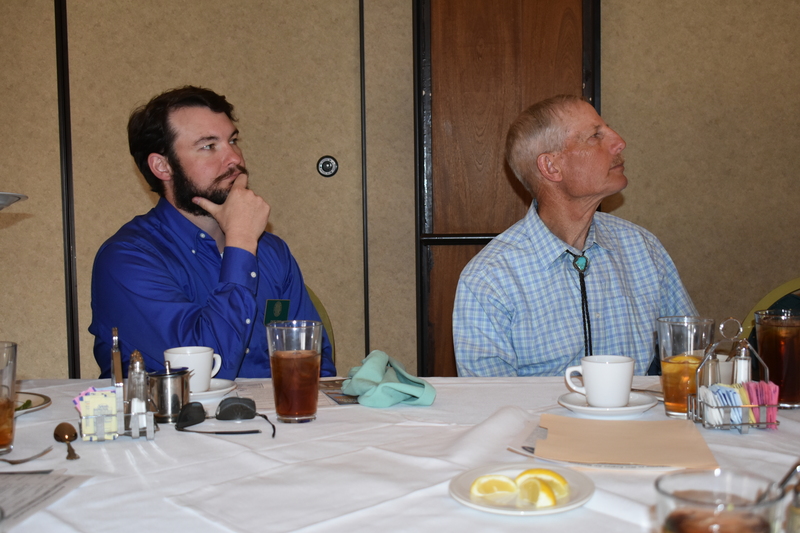 Pete Brandon (L) and Alan Fisher listen to Colonel Campos. 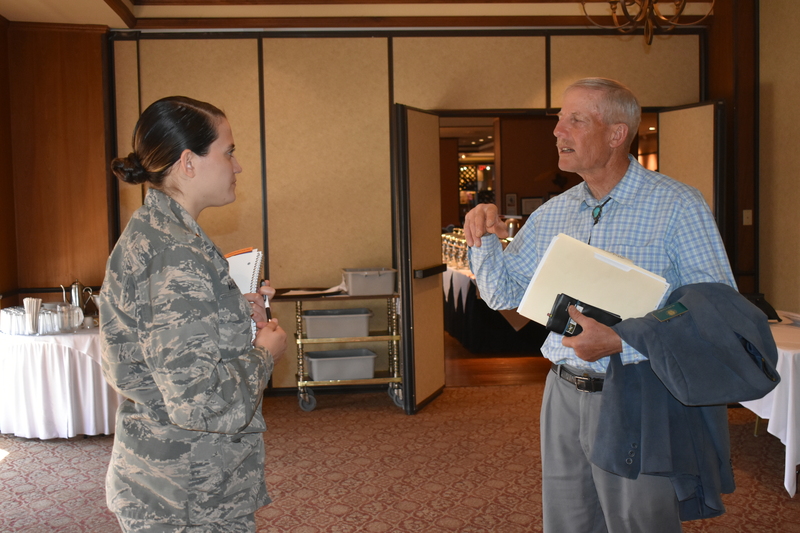 L to R: Roger Nichols, Mario Campos and AFROTC Cadet Captain, Ammber Valverde (Daedalian Pilot-Training Scholarship Recipient), listen to Alan Fisher (whose finger is seen at lower left) . 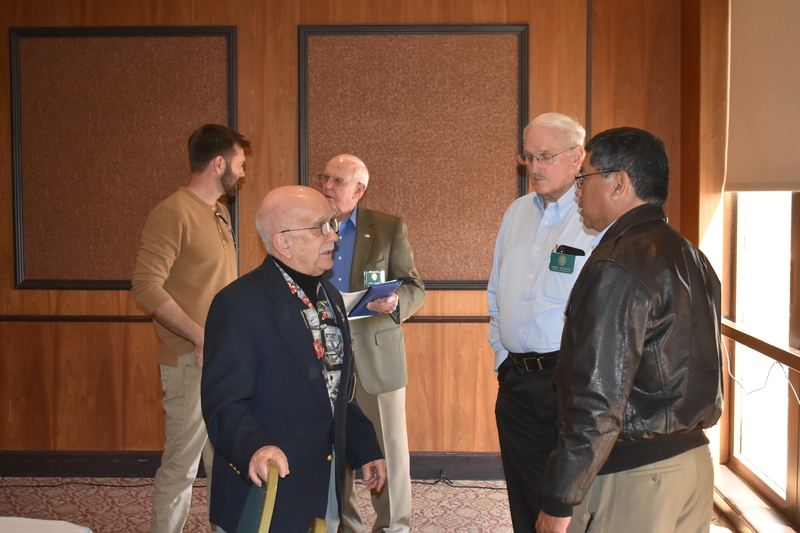 . .
L to R seated: Mario Campos, Ammber Valverde, and Roger Springstead, listen to Roger describe the Vietnam War’s operation Linebacker II. 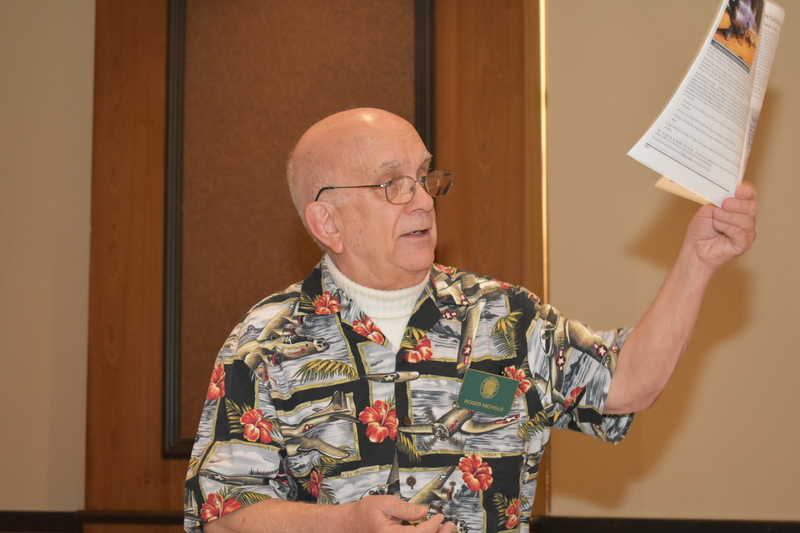 Roger Nichols holds latest edition of the War Eagles Air Museum Quarterly Magazine, which includes a story by FASF Aviation Scouts and Daedalians Charlie Overstreet, and Virg Hemphill. 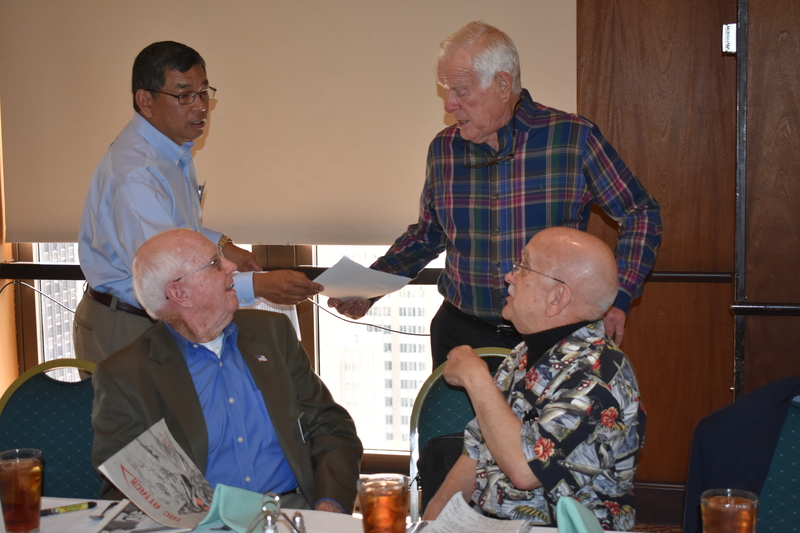 The article by Charlie is entitled “Memories of a B-47 Pilot,” while Virg’s story is simply titled “Virgil Hemphill – Fighter Pilot.” Roger, himself, also has an article in this same edition. It’s called “Christmas Greetings,” which is about the “Linebacker II” campaign. 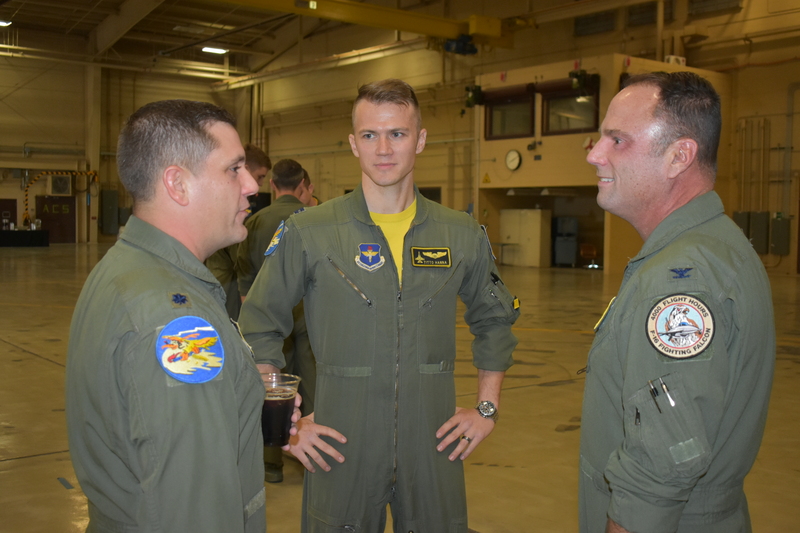 This entry was posted in AVIATION NEWS, HOT NEWS!, NEW VIDEOS and tagged Alan Fisher, Ammber Valverde, B-52, Bombing, Charlie Overstreet, Christmas Greetings, Col. Bob Pitt, Col. 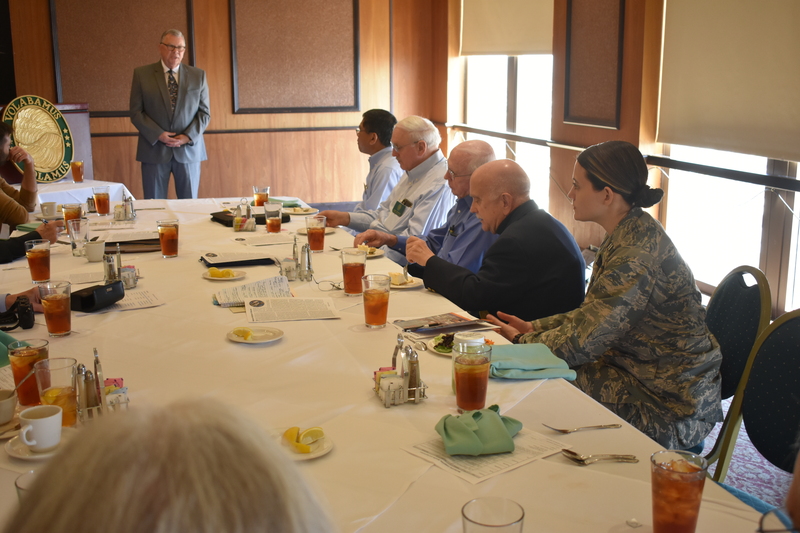 Norm Rice, Fighter Pilot, General Glenn R. Sullivan, General Nick Nichols, Hanoi North Vietnam, Henry Kissinger, Le Duc Tho, Linebacker II, Mario Campos, Memories of a B-47 Pilot, Pete Brandon, Roger Nichols, Roger Springstead, Thailand, The El Paso Club, Ulla Rice, Vietnam War, Virg Hemphill, WEAM on April 4, 2019 by FASFRIC. The above WWII Army Air Corps’ Pilot Training Film is courtesy of Zero’s Drive in Videos, and it is 35:41 in length. Remember to click on the full-screen view button of the video in the lower right hand corner of the film’s start up screen, if you’d enjoy seeing the larger screen version displayed. 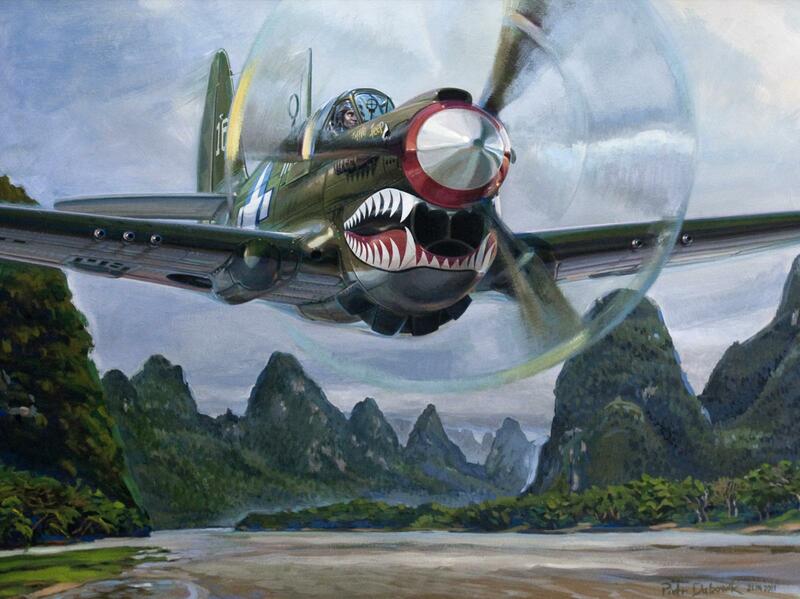 The Flying Tiger’s shark mouthed P-40 is one of the most iconic aircraft of WWII. Here, above, you can watch the film used to actually train P-40 pilots. It was produced by P-40 manufacturer Curtiss-Wright (remember Curtiss? They produced the First Aero’s Jenny in 1916 & 17), and it is in rare WWII color. 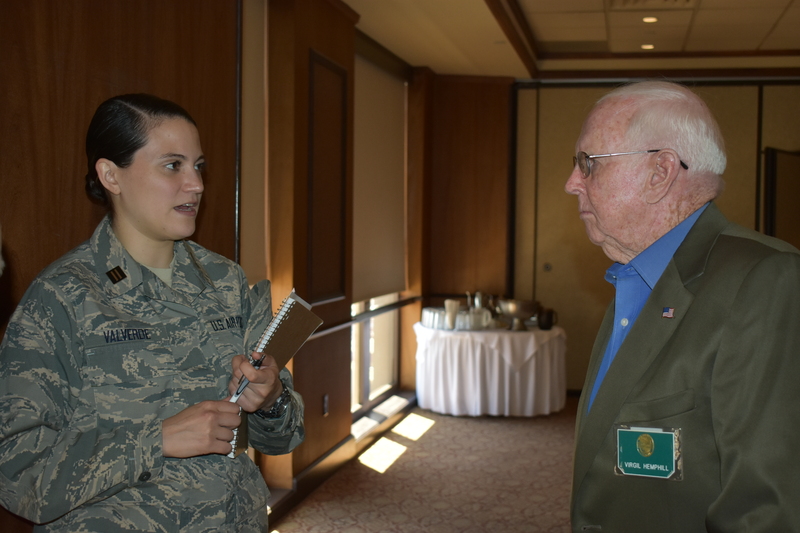 One of our long-standing active members, Roger Nichols’s (the current Flight Captain of the Order of Daedalians Flight 24, of El Paso, Texas) own father, Major General Frank Nichols, was stationed at Pearl Harbor on the day it was attacked by the Japanese Imperial Air Forces on December 7, 1941. 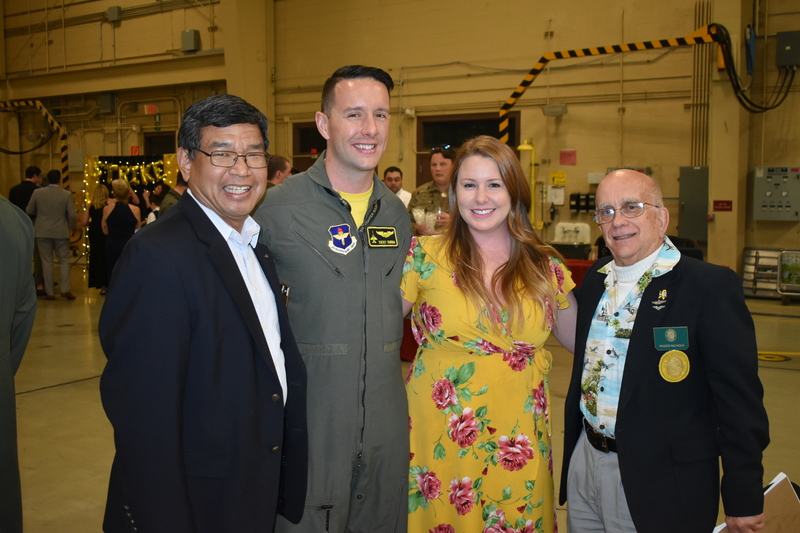 The then young Lieutenant took off to fight the overwhelming enemy forces in his P-40 Warhawk, which he continued to fly on other missions in the South Pacific War Theater, before transferring to other types of aircraft, such as the P-38 Lightening. 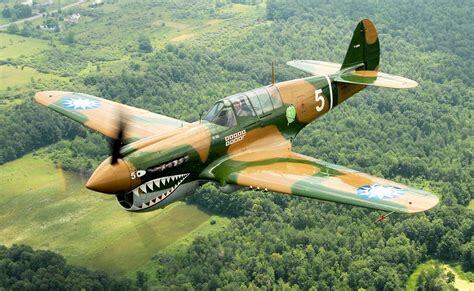 Claire Chenault’s Flying Tiger’s (see above photo of Flying Tiger version with its unique paint job) deadly weapon in China was the P-40. It was the Army Air Corp’s main front-line fighter at the outbreak of the War. Not as agile as a Japanese Zero, the P-40 nevertheless made up for that with speed, especially in a dive – – – and firepower. This rugged Curtiss-Wright built plane served the Allies around the world, from the deserts of North Africa to the jungles of SE Asia. 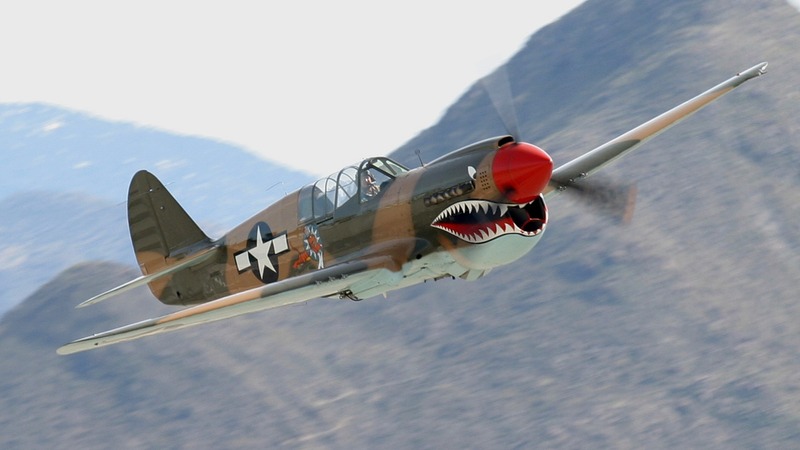 The aircraft featured in the above manufacturer’s film is a P-40F or L, both models of which were powered by Packard built British Rolls Royce Merlins for better high altitude performance. Other P-40 versions were powered by American Allison engines. P-40s supplied to Commonwealth countries were known as “Kittyhawks.”The other variant of the Curtiss Fighter was known as the Tomahawk. The above WWII training film was reproduced by Zeno, Zeno’s Warbird Video Drive-In. 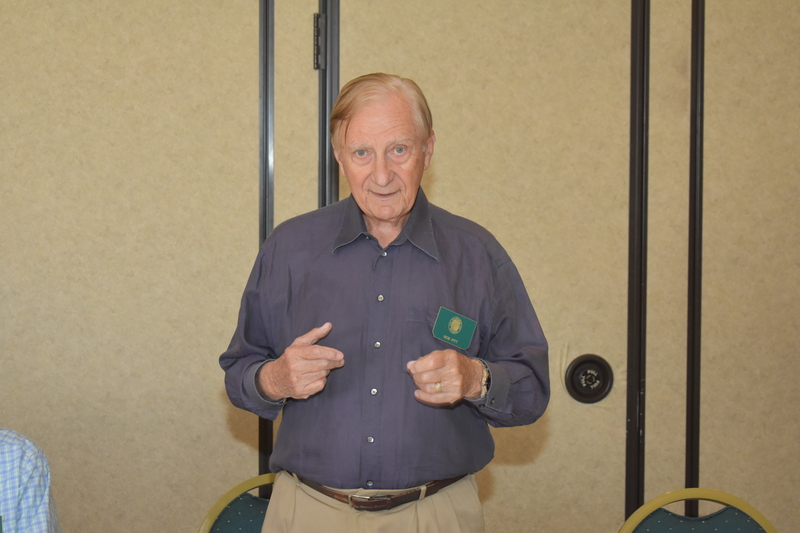 Check out their P-40 DVD with two more videos & the iconic airplane’s actual pilot’s manual. You can visit their aviation DVD storet for one of the World’s broadest selections of World War II & other vintage jet aircraft aviation videos, too. This entry was posted in NEW VIDEOS and tagged Allison Aircraft Engine, AVG, China before Pearl Harbor Attack, Curtiss-Wright P-40, Cutiss Jenny (JN-2-3 &4), Daedalians, Flying Tigers, General Claire Chenault, How to fly the P-40, Kittyhawk, P-40 WWII Fighter, Roger Nichols, Rolly Royce Merlin Aircraft Engine, Tomahawk, Warhawk, WWII Fighter Aircraft Training Film on February 17, 2018 by FASFRIC.